I got to meet with VP of Marketing for Manischewitz David Rossi at Kosherfest 2008 to discuss the changes that Manischewitz Co. is making and the company’s expansion in the last 120 years. YZ: So David 120 years, sound like a Jewish joke, right? DR: Yes actually, and we hope to be around for the next 120. YZ: Are you doing anything special for the 120th anniversary? DR: Actually we are. 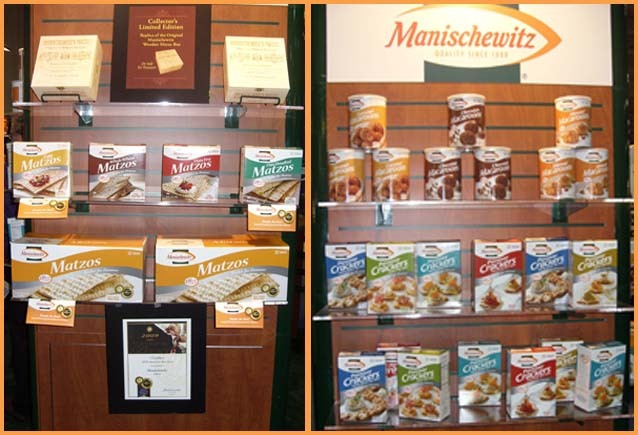 Manischewitz will be re-producing the original Manischewitz Matzoh box that was used when we first opened. The box is not a cardboard box like you might purchase in the stor now, but actually a wooden box much like you might see cigars in. It is a commemorative box and of course will be a little more then a regular box of Matzoh but it’s a collectors item . YZ: How many companies exactly is the Manischewitz Co. today? DR: Good question. Well lets see; Season, Rokeach, Guiltless Gourmet, Horowitz Margareten, Mishpacha, Goodman’s, Mrs. Adler’s, Mother’s, Cormel, Croydon House, Jason and Asian Harvest. YZ: Wow! I bet I wasn’t the only one who didn’t realize that all those companies were part of Manischewitz. Where are most of the products made? 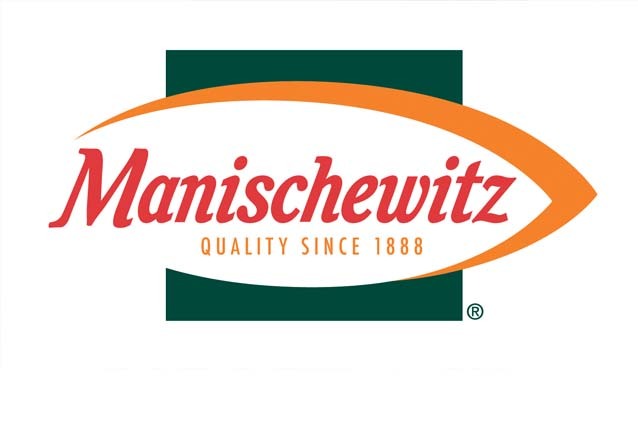 DR: In 1954, Manischewitz purchased a processing plant located in Vineland, New Jersey. The Vineland facility, which has now ceased operations, manufactured all of the company’s canned and jarred products, including old familiar favorites like gefilte fish, chicken soup and borscht. The plant was primarily a hand-pack processing operation stressing careful attention to quality and flexibility. Workers there packed about 2,000,000 lbs. of fish and 1,000,000 lbs. of beets each year. We are actually updating the plant as we speak. We replaced the Matzoh over that we have been using I think since the beginning. The old oven was brick, and very reliable. Now though its time to upgrade the machinery to a state of the art stainless steel oven in which we can control the climate better too. YZ: Wow! So how many people are employed in the factory? DR: About 250 people work in the plant. YZ: How many Rabbi’s/Mashgichim work on the premises? DR: We have up to 12 maschiach during Passover production and a little less then that during the year. YZ: So what happens to the factory around Pesach time? DR: Well pretty much the whole Matzoh section gets closed down for about 2 monthes while all the rabbi’s and mashgichim are koshering all the machinery and conveyor belts with blow torches. DR: Yes the plant is really big and the koshering has to be done right. YZ: Do you have any tours through the plant? DR: Actually we will be having tours when we finish making so minor changes to the plant and then it will be open to the public to see how everything is made. YZ: I actually think that I saw Manishcewitz featured on the Food Network last week. DR: Yes we have been featured on the Fod Netwok on a show called Good Eats where they go behind the scenes to show you how products are made. On that particular show I believe, they were seeing how we make out jared Matzoh Ball Soup. YZ: So, this is the 3rd year your having the cook off contest? DR: Yes, that’s right. We have gotten a huge amount of feedback the previous years. The great thing about the contest is that ANYONE can enter. We have had finalists that were Doctors, Lawyers, Mechanics literally anyone who has a great recipe and enjoys cooking. YZ: If I may ask is it mostly women entering the contest? DR: Exactly the opposite. Last year 2 or 3 of the finalists were men with professional careers. YZ: David, where do you see Manischewitz going in the next 120? DR: Well Yossi, I see us perfecting all products we already have, keeping them afforadable for our consumers and defiantly branching out into more food products then we currently produce.